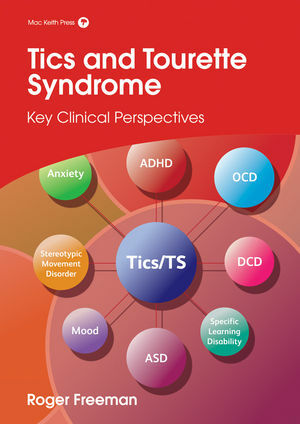 Unlike much of the literature on Tourette syndrome disorders, this book moves away from focusing on the tics and acknowledges that sometimes it is the disorder, such as ADHD, DCD, and OCD, that is the most pressing problem. Roger Freeman, considered a world expert in developmental neurology, shares his vast experience on tic disorders in an informal but highly informative style. He discusses recent advances in the identification and management of tic disorders that many clinicians may be unfamiliar with. Multiple illustrative case histories address many of the mistaken assumptions about tics that are made in everyday clinical practice. Extensive reference lists provide a rich resource for the both the clinician and the researcher. Paediatricians working in neurodisability and child development, child and adolescent psychiatrists and psychologist, neurologists and other health professionals who manage patients with tic disorders will find this book an excellent resource. Dr Roger Freeman FRCP(C) is Professor Emeritus of Psychiatry at the University of British Columbia and Senior Neuropsychiatrist at the Neuropsychiatry Clinic, BC Children's Hospital Vancouver, Canada. He is co-founder of the Neuropsychiatry Clinic at BC Children’s Hospital and co-founder and manager of the Tourette Syndrome International Database Consortium, a world-wide clinical dataset on Tourette syndrome. Dr Freeman is the author of numerous papers on Tourette syndrome and is a frequent presenter at Tourette Syndrome Foundation of Canada (TSFC) conferences. He has been honoured as a Clinician of the year (2006) by the TSFC and was given a distinguished service award by the American Academy for Cerebral Palsy and Developmental Medicine. APPENDIX 2. How Accurate is Information on the Internet?